The man cave is typically seen as a room or even the garage of the house where guys congregate over a few beers and watch ESPN. With more and more entertaining happening outside, it’s not surprising that the man cave has moved outdoors too. With such a wide array of top-notch grills, built-in refrigerators, firepits, and even outdoor televisions, guys can have everything they need out on their patios and decks. 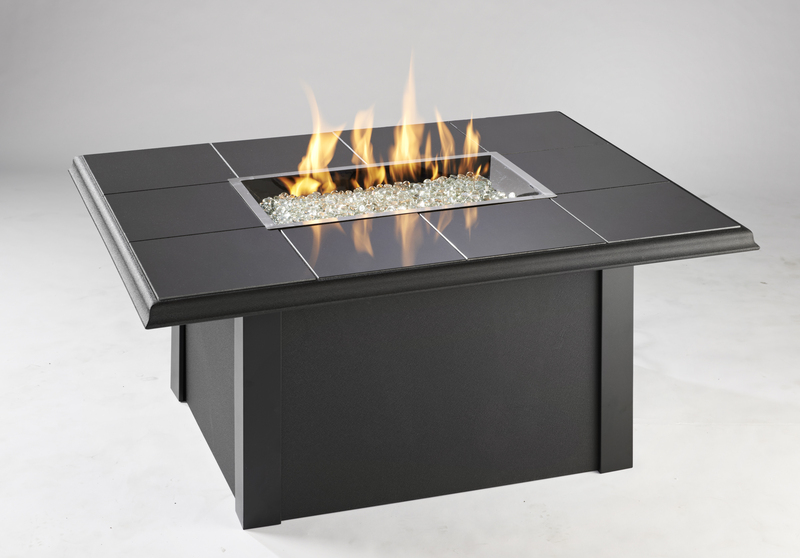 The Napa Flex Fire Collection by the Outdoor GreatRoom Company is perfect for the man who wants to include a dramatic fire feature in his backyard. The base, burner shape, top, and finishing materials can all be customized. It’s also possible to mix and match the materials to create a personalized style. With dozens of options to choose from, the possibilities are endless. 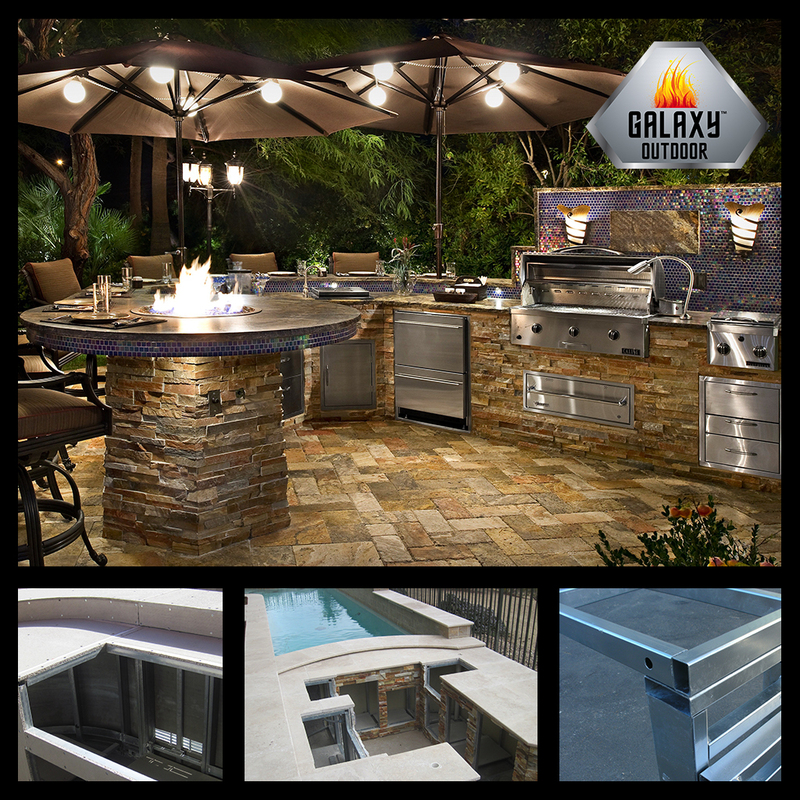 Galaxy Outdoor offers everything needed to make outside entertaining an experience that your male customers will love. With a selection of over 40 different built-in stainless-steel components, they can incorporate everything they need for the ideal man cave. All cabinets, bars, and firepits are constructed of 12-gauge, #120 galvanized tubing and are welded together. No screws are used in assembly of the frames. Each section is designed to be bolted together and self-aligning for easy installation. There is a lifetime warranty on all built-in stainless-steel components and a 10-year warranty on the galvanized frame and all PermaBase® cement board.